Enter the original loan terms, the month and year of the loan origination and the number of months that have past since that time. Then click the "Create Loan Balance Calculator" button. This will create a payment schedule beneath the button that will include editable payment fields equal to the number of months past. You can then adjust the monthly payment amounts to the actual payments which were made to find the current balance with irregular payment amounts. If you made regular fixed loan payments per an amortization schedule you can use this calculator instead. Simple subtraction doesn't always lead to accurate loan balance calculations. While it would seem to follow, loan debits are not summarily shaved off the top, reducing principal balance in kind. Instead, fees and interest impact the pace of loan repayment. Irregular payments are another variable impacting loan balance and repayment timelines. 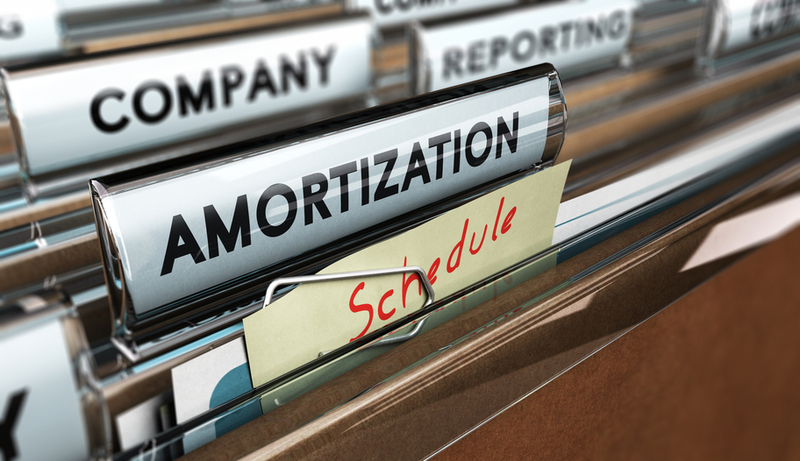 Regular monthly installments make for clear-cut amortization calculations, but variances in the amount paid each billing period have ongoing impacts on the principal balance left outstanding on loans. Payments made in irregular amounts are harder to account for than consistent monthly amounts, leading to difficulty determining loan balances. The above loan balance calculator allows you to change payments through the loan & sheds light on remaining balances, when inconsistent payments have been made. Installment loans, for homes and cars, require the same payment each month, according to terms and conditions contained in loan agreements and promissory notes. In fact, when installment loans originate, amortization schedules are provided, illustrating the entire payment progression expected from the borrower. At any point over the course of a mortgage, for instance, borrowers are able to look ahead for precise future payment responsibilities. The benefit of consistent payments allows consumers to budget well in advance, ensuring affordability on major purchases like homes and cars. Installments are not subject to interest rate fluctuations, so there are no surprises for borrowers along the way. Fees and other charges are occasionally built-in to repayment schedules, adding to the overall cost of repayment. Even so, add-ons are clearly articulated before contracts move forward, so there are no hidden costs for consumers. Each loan payment is broken into parts, which are applied to different areas of your loan responsibility. Part of the payment is designated to cover interest accumulated during the billing period, while the remaining portion is applied to directly reduce the original principal balance of the loan. Loans are weighted too, with interest-heavy contributions required during early repayment. As the balance shifts, more of each monthly payment begins to reduce the principal balance. One of the advantages of paying ahead on loans is that excess payments, which go beyond your monthly obligation, are applied directly to balance reduction, trimming the principal amount requiring repayment. Over time, interest savings are significant and repayment periods diminished. For example, mortgage holders making annual payments totaling a single additional monthly payment trim years off their original loan satisfaction dates, saving on interest expenses along the way. Irregular payments change the course of repayment though, disrupting orderly amortization schedules in the process. Remaining principal balance calculator allows you to factor-in various payment levels, responding to changes you enter into each month's payment column. As figures are entered and manipulated, the calculator accounts for irregular payments, adjusting remaining balance simultaneously. In any case, figuring loan payoff amounts is tricky, because the actual loan satisfaction amount does not match the sum of remaining payments. For precise information, call your lender to have your payoff amount quoted directly. For general curiosity and greater understanding of your remaining balance, utilize the loan balance calculator, remaining mindful that calculations are estimates.